Conveniently located in Seattle’s historic SoDo neighborhood, Session Seven Studios houses three creative spaces for any budget. 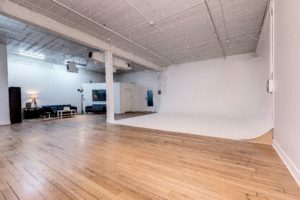 Our options include a spacious studio complete with cyclorama wall ideal for high end photography and video productions, an enclosed self-serving studio equipped with 12 foot paper rolls and an additional space equipped with a green screen for those more imaginative projects. There is a service elevator and free parking available for you and your client (except for during sporting events). Run by two video and photography professionals, Session Seven Studios anticipates and supports the needs of our clients. The setting is professional, clean, safe and includes amenities like coffee, water and wifi. 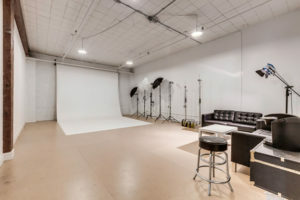 Studio B: Affordable blank canvas SODO studio. Absolutely an amazing experience, rented for a video shoot and the location was AMAZING. Keith was very fast at responding and answering any questions I had and the day of the shoot Cory helped with everything from lighting to the camera settings. DEFINITELY recommend for any photography/videography needs. Book it! This space is incredible. The cyc wall is brand new and well built and we were able to even to use the couch area for another set up. The options and angles in this space are great. 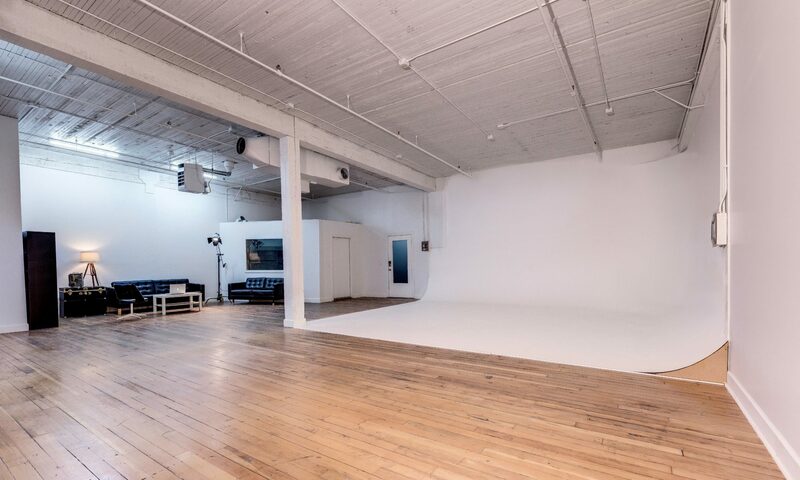 The space has a lot of great production and client amenities. Really appreciated how helpful Keith and Cory were to help us get loaded in and sorted. We already are thinking of other productions we can bring here and only wish we had time for a meal at Pyramid after the shoot! Keith and Cory are great and the space….. just WOW! I had asked if there were some different items to shoot with and they went the extra mile and made me two v-flats. Additionally, parking was easy, and they both assisted with getting us trolleys for our gear and we were able to use the freight elevator. True professionals and really great to work with! My new go to studio!! Great space and great hosts! This place was awesome and Keith was really easy to work with. Even helped us out with production a little bit when we couldn’t figure out the lights! Will definitely be coming back to this space as it was perfect for what we were looking for. Thanks again Keith! Great experience! Professional, clean, and well managed. AMAZING!! Keith and Corey were wonderful from booking to being able to answer any questions or last minute requests I had! When I found out I needed the space a hour earlier (8am on a Thursday) they made it happen and even tracked down a PERFECT grey background so my shots would really pop! They have two additional studios that I can’t wait to book for future projects. Two huge thumbs up from myself and my team, thanks guys! A great, simple studio that is more than enough. Having the option to shoot in a pitch black room gives you tons of flexibility when shaping the light. The host were great offering me help carry my equipment up to the studio. Getting there was fast and easy and the free parking is a plus. Will book again. This space is great! The owner’s are very accommodating. I highly recommend this space it is clean, quiet, professional and affordable.